This port city sits near the southern most tip of Japan, being south of Fukuoka. 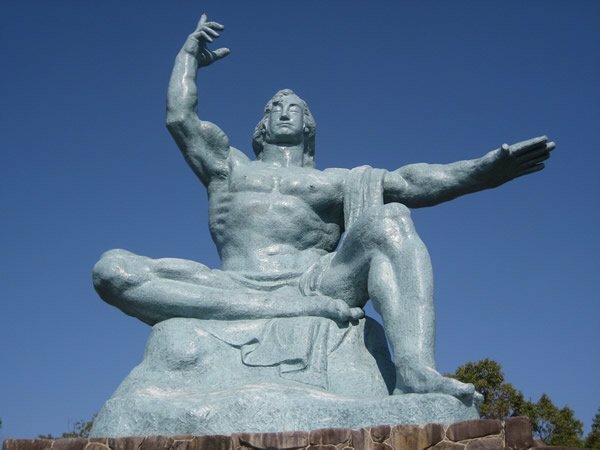 Despite being completely destroyed in 1945 by atomic bombing, the city was rebuilt and took back its place as a window into the West (as the city is a receipt point for Asian and European trade). Like many other cities in Kyushu, Nagasaki is known for its excellent local cuisine with dishes like Karasumi and Sara Udon. Aside from delicious eating the city has no shortage of temples and shopping. One of Nagasaki’s more popular sights is the Atomic Bomb Museum, which stands on the hypocenter of the blast and showcases photos, relics and the history of the event. Just South of Shianbashi Station (about two blocks) You'll find a little shop which has the reputation of some the best cake in the city. Its called "Castella" (or "Kasutella" in Japanese). This light pound cake is a specialty of the Nagasaki area, and was first brought there by the Portuguese in the 16th century. The shops’ reputation keeps it rather busy, so try to go during the off hours and have your dessert before your dinner just like your mother taught you. 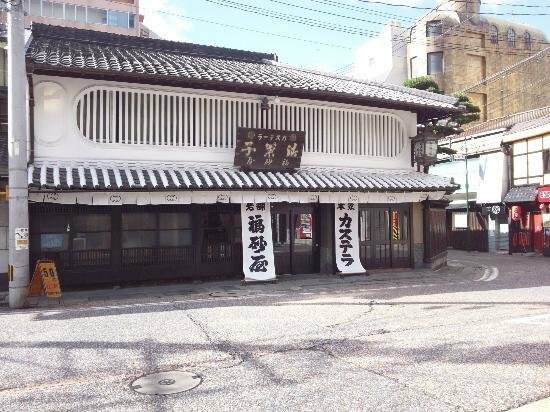 A mile South of JR Nagasaki Station, just below Hotel Monterey Nagasaki & Ourakaigandori Station stands Shikairo, Nagasaki's Champion of Champon (Regional Dish of Nagasaki which originated from China. It is a form of Ramen where veggies and meat are fried first with lard, and then soup broth and noodles are added later). According to the locals Shikairo itself invented this dish and is the original source. Recommended is the Red Spicy, and the Sweet and Sour Pork. Helpings are large so be ready to get fat. 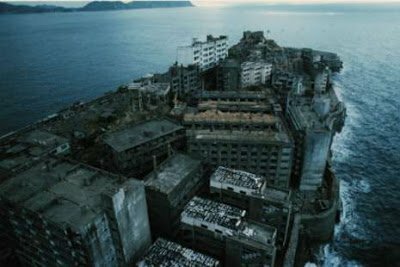 Usually only seen in Hollywood action films, few people have the opportunity to visit a real live, (well not really alive) dilapidated and abandoned industrial island. It wasn't until 2009 when the city of Nagasaki opened access to Gunkanjima, a small coal mine island which was abandoned in 1974 when the mine was closed due to declining production. The island has been abandoned and abused by the elements since that time and has taken on the look of a post apocalyptic city due to decay. Travelers will be interested to know that this abandoned island is the island that inspired the 2012 Bond film: Skyfall, however filming was done in England with a mix of CGI and a partially recreated version of the island in a sound studio. 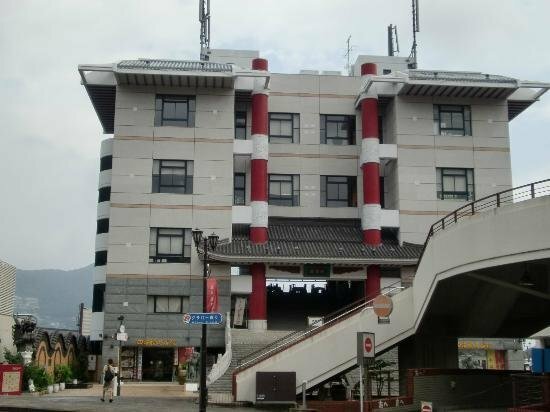 Presently there are tours (at the Nagasaki Ferry Terminal, the company is called: Yamasa Kaiun) for specific parts of the island, away from the buildings to prevent injury. Take a walk through the Peace Park and stand in the very location where the atomic bomb dropped on August 9th, 1945 in World War II. Peace Park serves as a reminder of this event and the tens of thousands of residents who died. The park has several monuments and statues which promote and urge the concept of world peace. 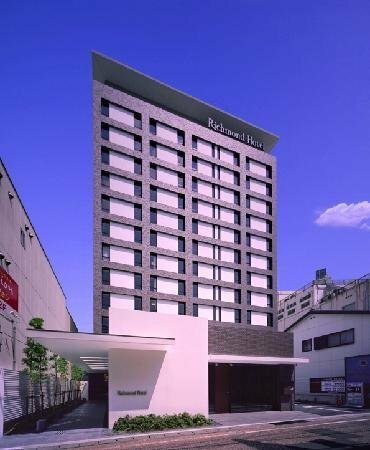 The Richmond Hotel Nagasaki is centrally located, just one mile South of Nagasaki Station at the Shianbashi station. Guests will find the 'Moderate Single Room' and 'Moderate Double Room' to be too cramped and dated, however this is the most affordable room, coming in at $100 for a single occupant. Far more spacious and hip are the Deluxe and Superior rooms, which start are $20-50 more. As far as dining and facilities the hotel is limited with only one restaurant on the premises, however that should not be a problem as there is plenty of excellent local eating within walking distance. 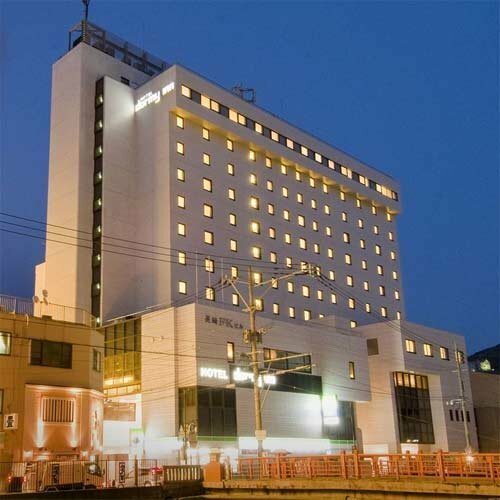 Located right at the entrance of Chinatown, (Just less than one mile south of Nagasaki Station), the Dormy Inn is right in the middle of the action with the Glover Garden, Mount Inasa, Peace Garden, Atomic Bomb Museum within reasonable distances. Rooms are clean, modern, but rather small, unless you get something more than a 'standard' you will be in very close quarters (which shouldn't be a problem for solo travelers). For couples who want to upgrade to a larger room the total comes to somewhere around $150. Depart from Tokyo Station, via the Shinkansen NOZOMI 179, bound for Hakata Station. Depart from Osaka Station (Umeda), via the JR Kyoto Line Rapid Service bound for Shin-Osaka Station.